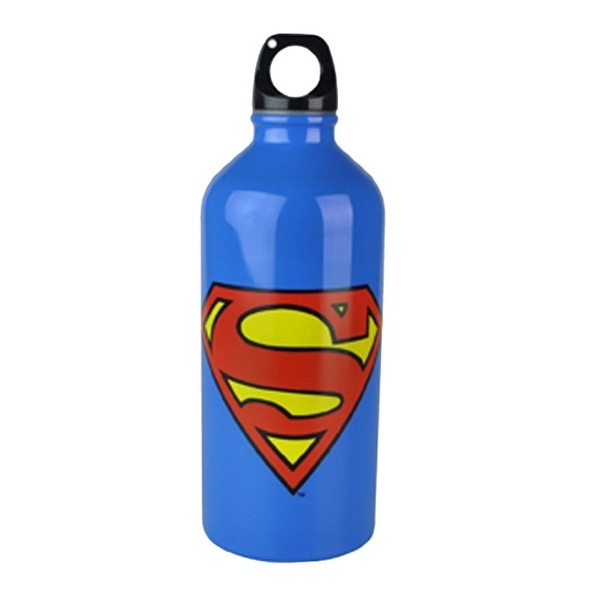 If you're a big fan of the DC Comics character Superman - then this Superman Water Bottle is just one of the fantastic range of Superman Accessories we have available here at Gadget Inspector! This fantastic Water Bottle is perfect for those gym fanatics who occasionally need a bit of inspiration to get lifting - just channel your inner Superman! It's also a fantastic stocking filler or gift idea for those who are DC Comics mad, and even makes a great personal treat! As self-confessed and pretty established gadget geeks - you can imagine how much we love all things Superman. This amazing water bottle is possibly one of our favourite pieces of Superman merchandise - because not only is it clean, crisp and perfectly designed, it is a really practical product which provides an important service and it's generally quite appropriate because each and every member of the Gadget Inspector team is super (not that we're biased). Science stuff says you should be drinking loads and loads of water a day, but water can be pretty bland and boring don't you think? Introducing the Superman water bottle. This incredible water bottle makes even the most plain H2O taste like nectar of the gods because you're drinking it from the most darn cool bottle ever to have been created. This blue bottle is adorned with the yellow and red notorious Superman logo - letting everyone know that you're pretty super yourself (and a massive comic book nerd). This water bottle will stand out in any environment and will be the apple of everyone else's eye - so make sure you stock up quickly! This Superman water bottle is an amazing gift idea or stocking filler for a gadget fan, comic book geek or just a Superman lover! quality looking bottle. fast delivery.